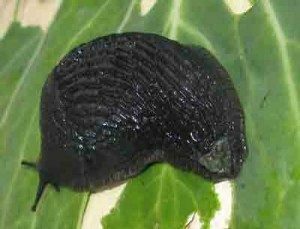 Watch out for slugs, and control them in the vegetable garden! Slugs eat young seedlings and will completely destroy your plans. Slugs like warm, moist conditions. So this spring has been perfect for them. Assume you will have slugs and be prepared. Keep the vegetable garden tidy. Slugs will make camp under anything:- weeds, old leaves & branches, stones & plant pots, soil clods. So remove all potential hideouts. Keep the soil raked, so that it is small crumbs and there are no clods for slugs to hide under. If all else fails invest in some slug pellets to control slugs in the garden.